Scott Lewit, President and co-founder of Structural Composites, Inc received the Lifetime Achievement Award for Technology at the Florida Technovation/TechExpo in October. In recognition of this award Lewit was given a Congressional Medal of Merit from Congressman Bill Posey for the achievement. The Lifetime Achievement in Technology is presented to an individual whose impact, influence and work within the technology community has resulted in success of the organization(s) in which the individual has been associated, and who has also benefited the regional technology community as a whole. 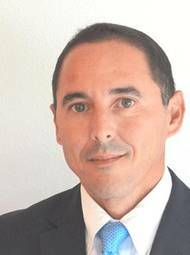 Netsco announces Jan M. Flores, as Sr. Director of Business Development. Flores comes to Netsco from OSG (Overseas Shipholding Group) where he headed the FSO Group and was responsible for Business Development in the Offshore market. Prior to his assignment with the FSO Group, Flories was the OSG Technical Project Manager overseeing the development of the MT Overseas Cascade and the MT Overseas Chinook. Flores has also worked for Crowley Maritime Corporation as Manager of New builds in their Technical Services Group. 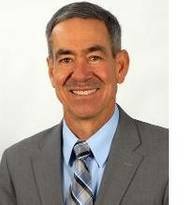 Life Cycle Engineering, Inc. (LCE) has announced that Edward S. Godfrey has joined Life Cycle Engineering as vice president of business development. Godfrey will be responsible for partnering with Department of Defense (DoD) customers and other government organizations to establish engineering and technical solutions that support the warfighter and DoD mission. 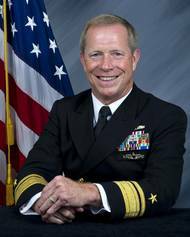 Godfrey has over 36 years of civilian service leading large, diversified engineering and corporate operations organizations within the Department of the Navy’s Naval Sea Systems Command (NAVSEA). SeaRobotics has delivered the first HullBUG (Hull Bio-inspired Underwater Grooming) System to the Center for Corrosion and Biofouling Control at Florida Institute of Technology in Melbourne. This will be tested and further developed at the newly commissioned Large Scale Seawater Facility , which is located at Port Canaveral and funded by the U.S. Navy Office of Naval Research (ONR). The HullBUG system is an autonomous underwater vehicle designed to crawl on ship hulls or other underwater structures and "groom" their surface. Responsibility includes: finance, contracts, estimating & pricing, and business management of Ingall’s Shipbuilding Division. "Tom's extensive background in finance and contract administration forms a solid foundation for this important leadership role," said Ingalls Shipbuilding President Irwin F. Edenzon. 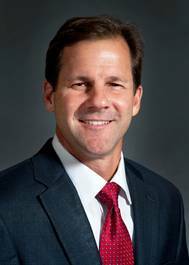 In addition to his financial responsibilities, Stiehle will also lead Ingalls' IT function, which includes the internal IT services, IT strategy development and management of the shipyard's subcontract with CSC.